In the under-construction Ritz-Carlton Residences, Miami Beach, the unit would include a library, wine tasting room and nearly 13,000 square feet of outdoor space. 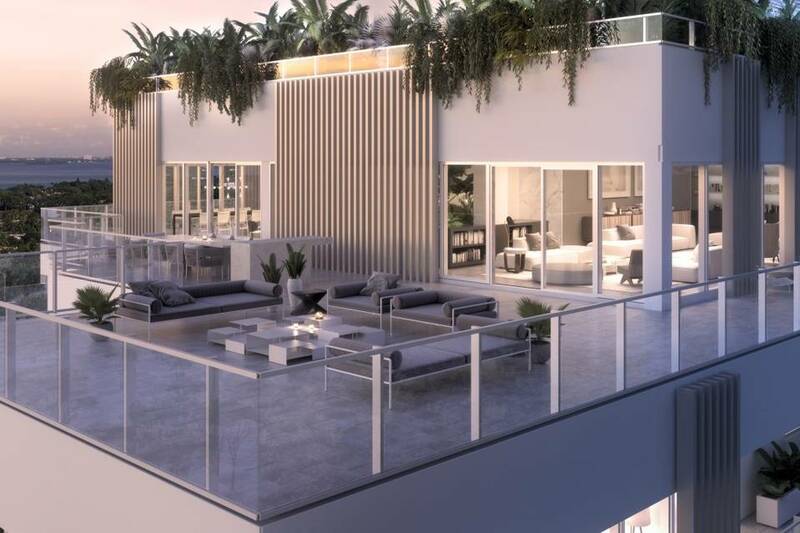 In Miami Beach, a penthouse that will boast four swimming pools and two outdoor kitchens is coming to market with a $40 million price tag, according to developer Lionheart Capital. The eight-bedroom, roughly 12,300-square-foot spread will be on the eighth floor of the under-construction Ritz-Carlton Residences, Miami Beach. With views of the Miami skyline, Biscayne Bay and the ocean, the unit will also have a library and a wine tasting room. Outside there will be nearly 13,000 square feet of outdoor space, including two larger swimming pools, two smaller plunge pools, two hot tubs and the two summer kitchens. Purchasers who prefer to design their own layout can buy the unit as raw space for $37 million, said Lionheart CEO Ophir Sternberg. Another option is to split the space into two penthouses: Penthouse 1 is asking $17 million, and Penthouse 12 is priced at $20 million. Another three penthouses are also coming to market asking $11 million and up, said Philip Gutman of Douglas Elliman Development Marketing, who is overseeing sales at the building. Lionheart’s Mr. Sternberg said the penthouse units are being offered both separately and as a combination because they are “already fairly large by themselves” and as a way to “maintain some flexibility” for buyers. Slated to be completed in the summer of 2017, the building will have a pool with a restaurant, carwash facilities and a pet spa and grooming room, Mr. Gutman said. The property also has 36 private boat slips for unit owners; residents who don’t own a boat can use the building’s VanDutch yacht, which comes equipped with a captain. Sales of the project’s 111 condo units and 15 villas launched in late 2013 and about 65% of the units have sold, Mr. Sternberg said.